This voluminous 3000 square foot Penthouse line is the sought after duplex in the building with mesmerizing views boasting a coveted pair of massive South and North facing enormous private terraces, two entirely chic bedrooms, two en-suite luxurious bathrooms plus powder room making it the paragon of contemporary Chelsea luxury Penthouse living. 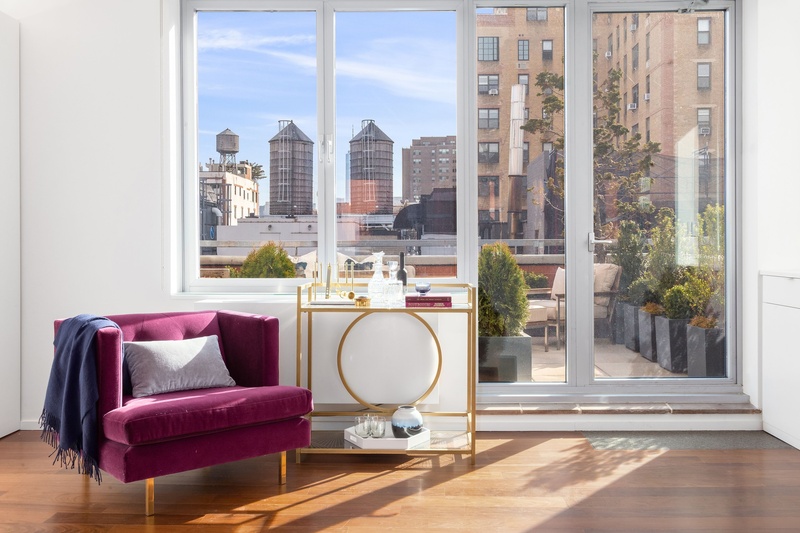 The residence includes pristine hardwood floors throughout, floor to ceiling windows with quadruple breathtaking exposures, ultra-private keyed elevator, a super sweet windowed office, private laundry and an array of custom fixtures paired with custom millwork and luxury finishes in every square foot. 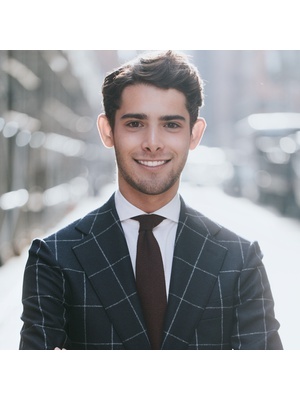 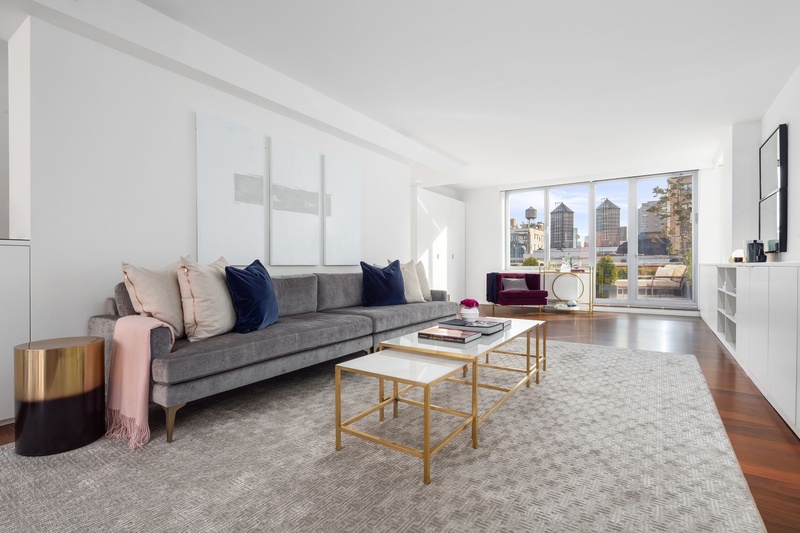 151 West 17th Street Penthouse B is the perfect residence to call home-sweet-home in the heart of one of the most coveted neighborhoods in the city. 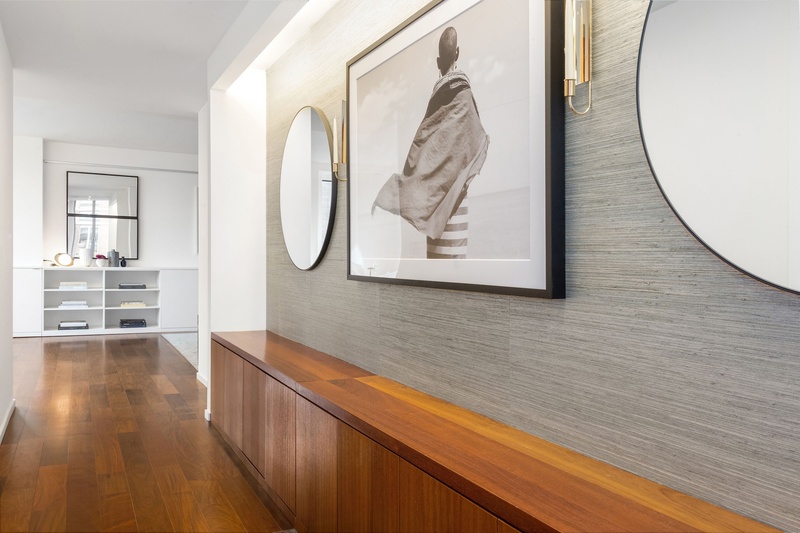 Your keyed elevator opens into the private, perfectly tailored foyer adorned with a huge walk-in coat closet and windowed corridor. 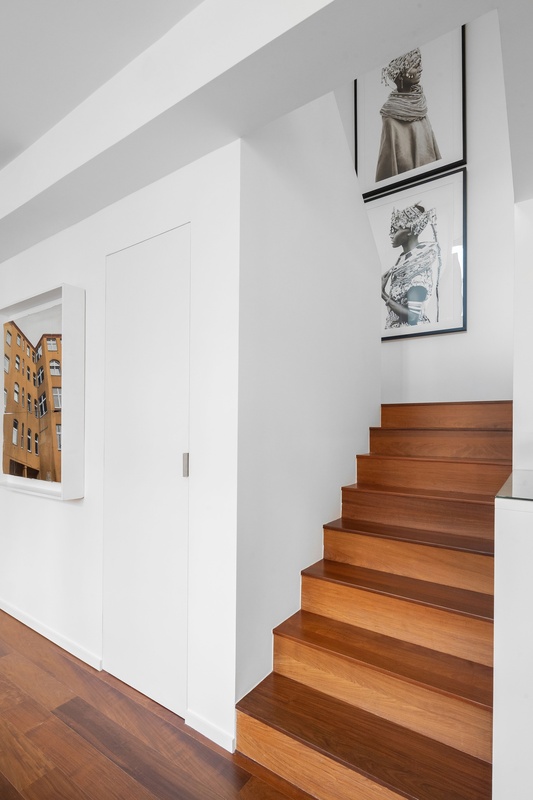 This proper entrance leads to the main floor which graciously and effortlessly flows into an expansive, open-concept living, dining, and kitchen areas perfect for large gatherings or intimate moments at home. 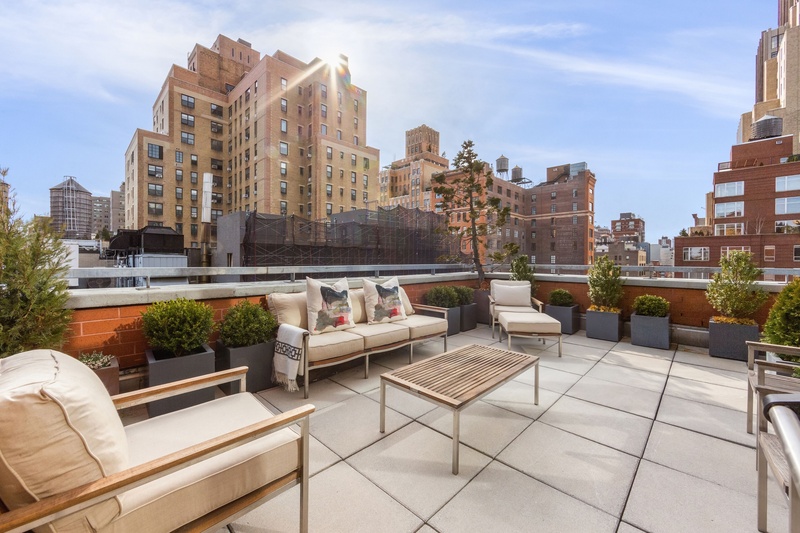 To the South lies the most stunning and vast landscaped private terrace with iconic city views including Liberty Tower and beyond offering dazzling light all day and intimate yet brilliant vistas at night --- the ideal urban private outdoor oasis in the sky. 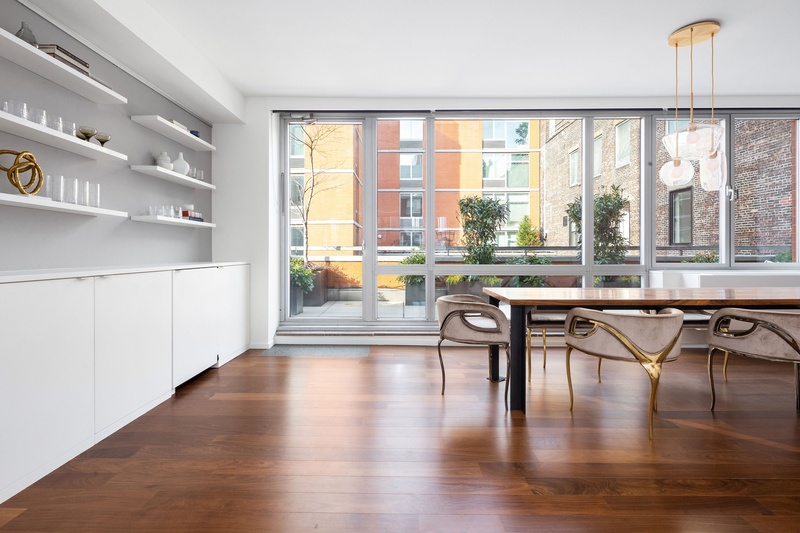 The entire living room expands over 30 linear feet and intersects with the dining and kitchen and is within steps to the massive second private landscaped terrace, facing North. 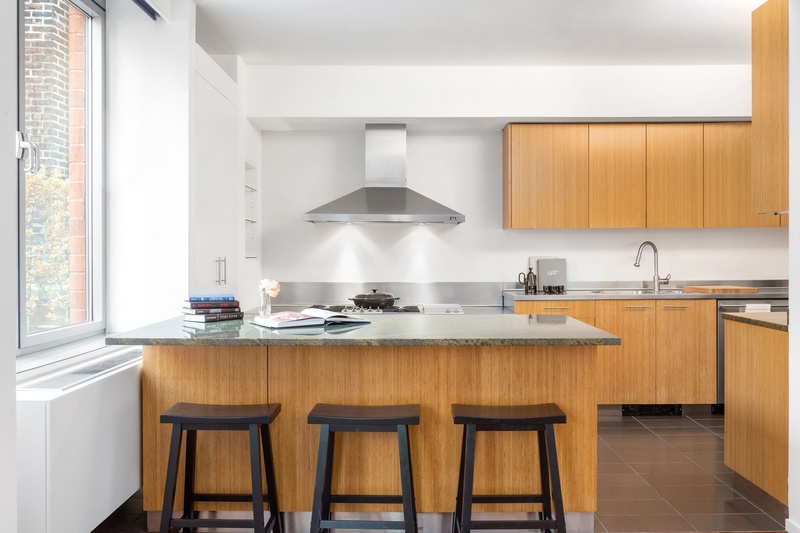 The enormous chef’s kitchen is equipped with an eat-in peninsula, custom cabinets and lighting, stainless steel and granite countertops, and a suite of high-end stainless-steel appliances. 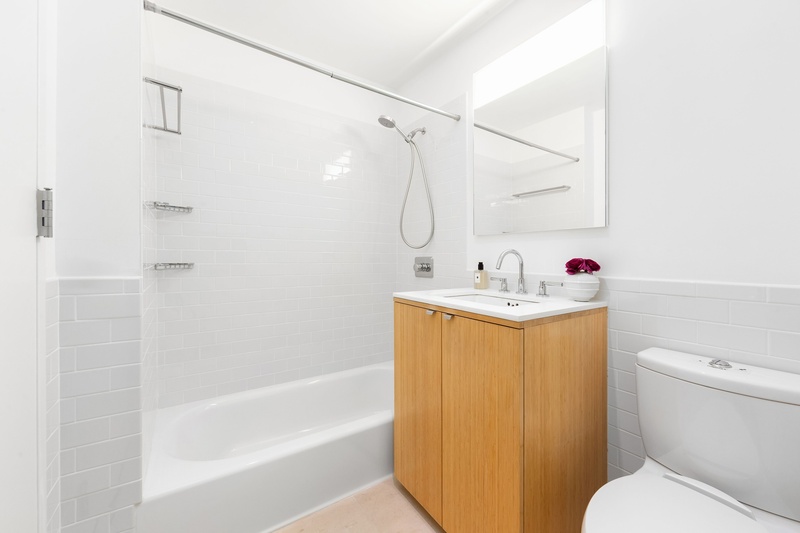 Finishing this level is a large powder room with immaculate finishes. 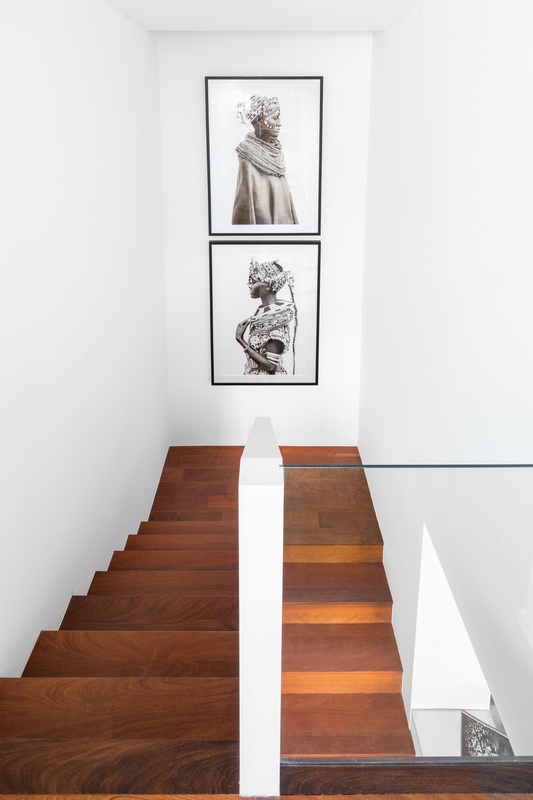 Upon ascending the architecturally significant double height stair case, one will find the most divine master and secondary suites coupled with a tailor-made office or library. 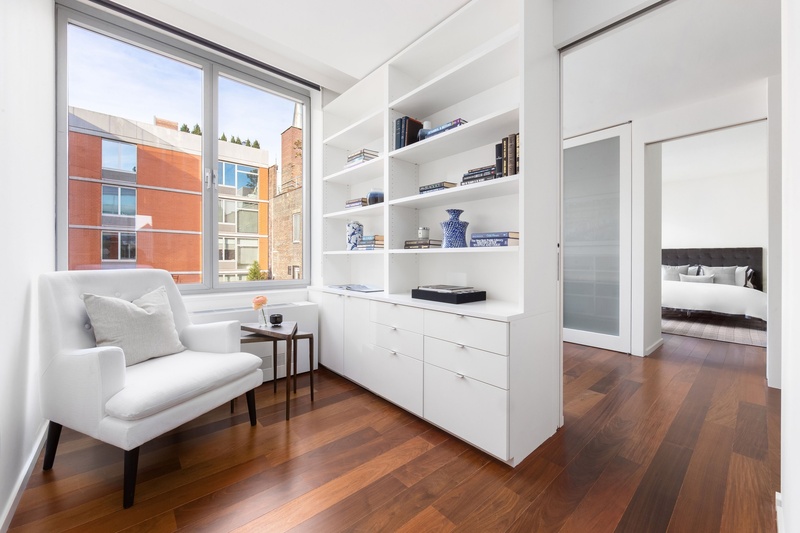 At the landing is the super sweet windowed office/library which can be masterfully closed off for additional privacy. 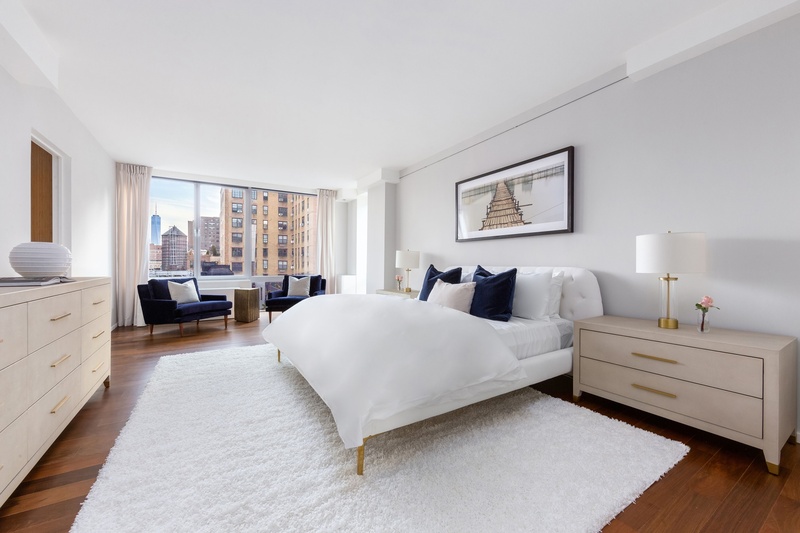 This space leads to the epitome of a grand Master Suite -- with its gargantuan proportions of over 40 feet long, the floor to ceiling windows have divine Southern light and vistas paired with a trio of reach-in closets, the biggest walk-in windowed closet in Chelsea adorned with tailor made millwork and expansive storage, this is the definition of a true luxurious suite. 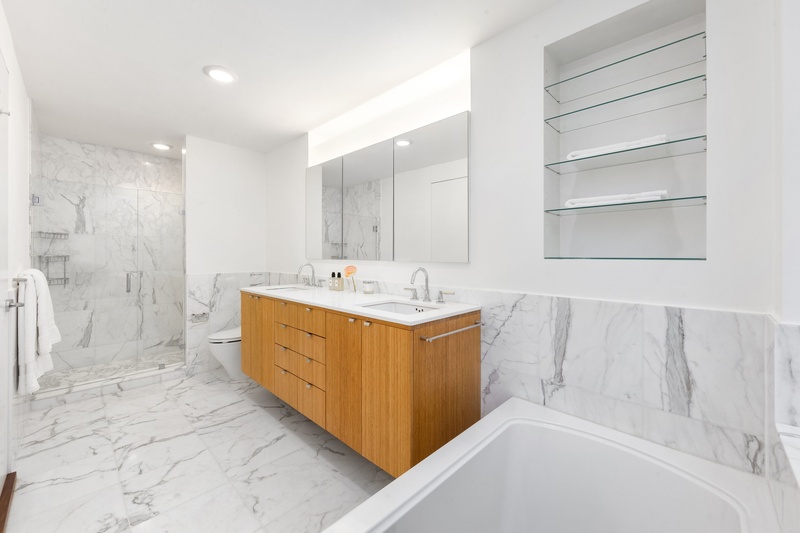 The beautiful marble bath with its double sinks, walk-in shower, and a bubble jet soaking tub framed by a frosted window with Northern exposure completes the dream Master. 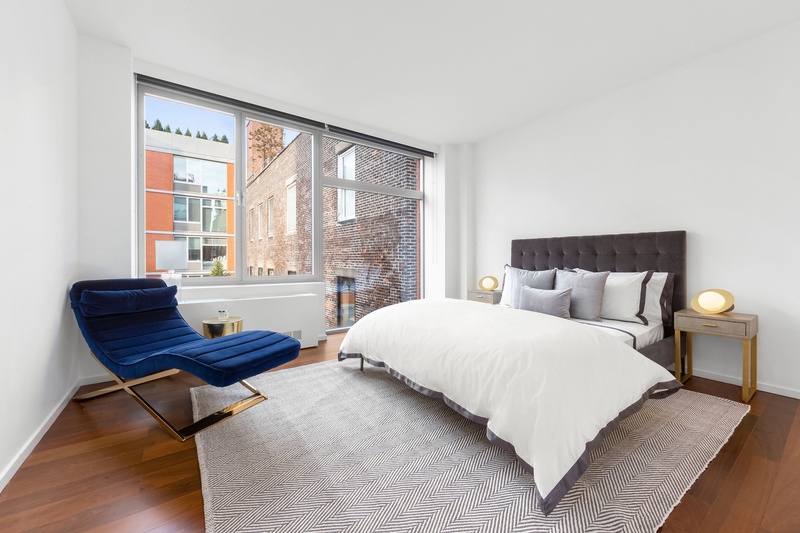 Adjacent to the landing lies the ideal second bedroom suite with floor to ceiling North facing windows and extra-large walk-in closet as well as a pristine en-suite bathroom. 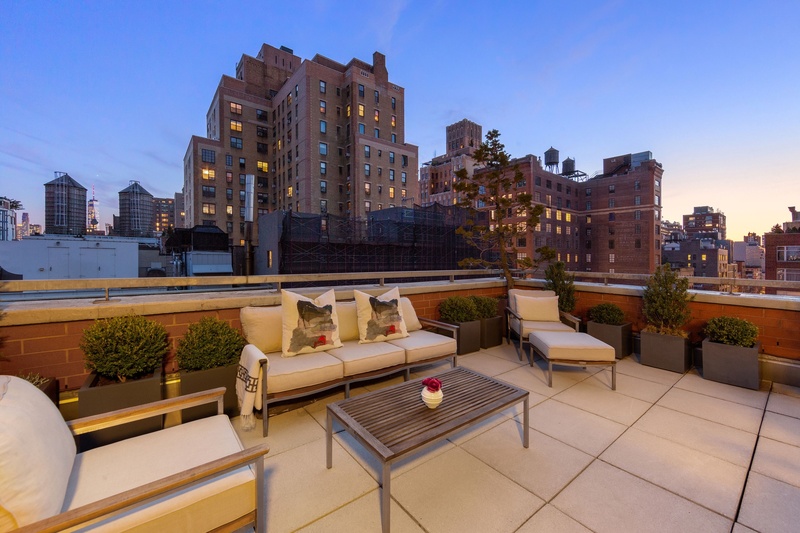 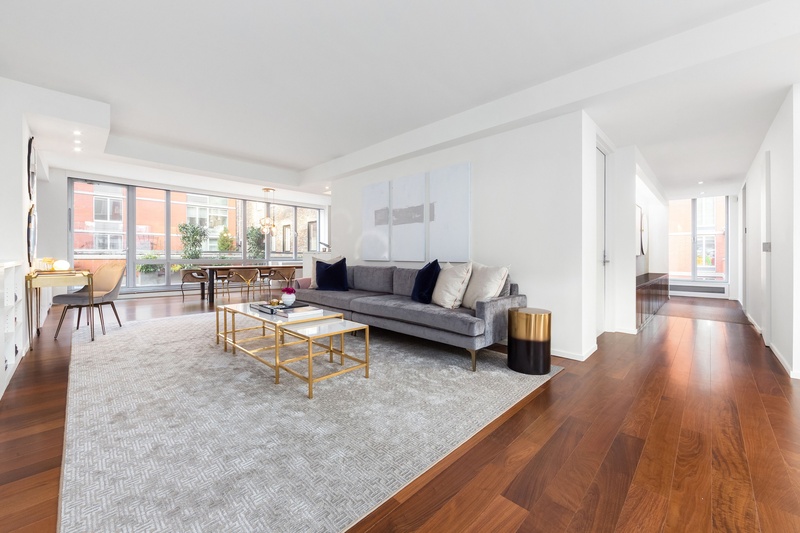 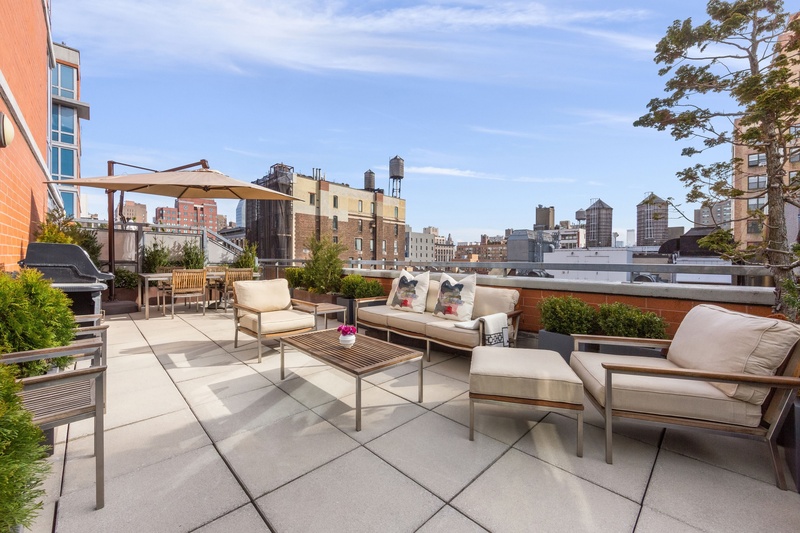 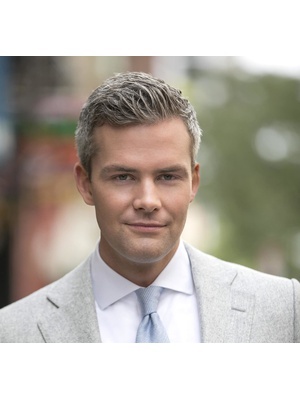 Supremely located in the thriving and always coveted prime Chelsea, 151 West 17th isthe epitome of authentic Downtown New York chic, with an abundance of modern charm and effortless style. 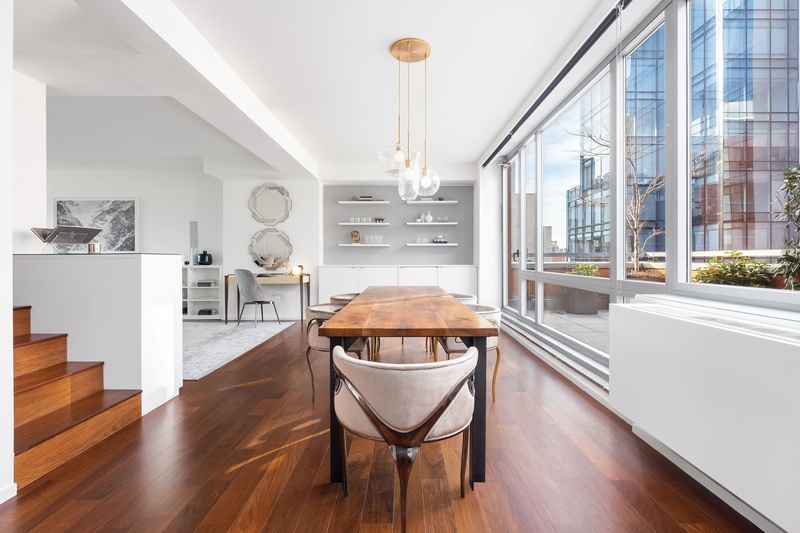 Built in 2002, 151 West17thoffers an ingenious combination of sublime architecture with timeless modern interiors, comprised of 12 floors with a mere 49 residences. 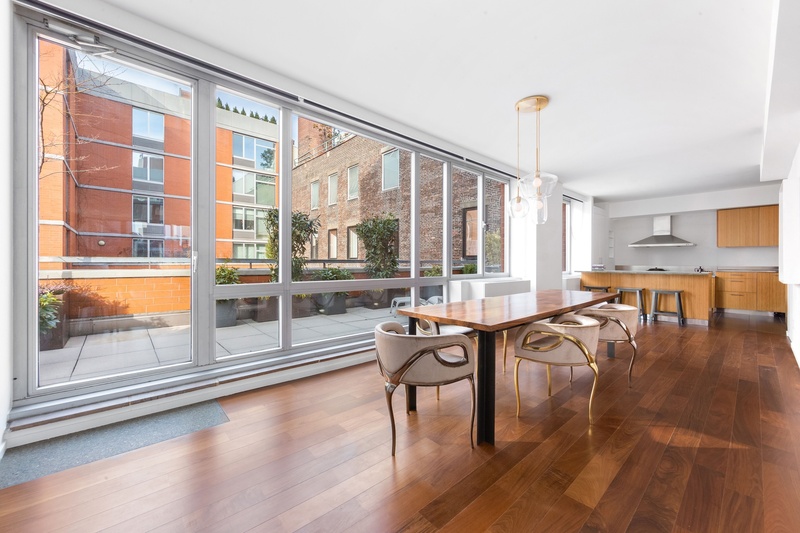 There is an exclusive onsite parking garage in the Condominium, stunning Zen Garden, state-of-the art gym and bicycle storage. 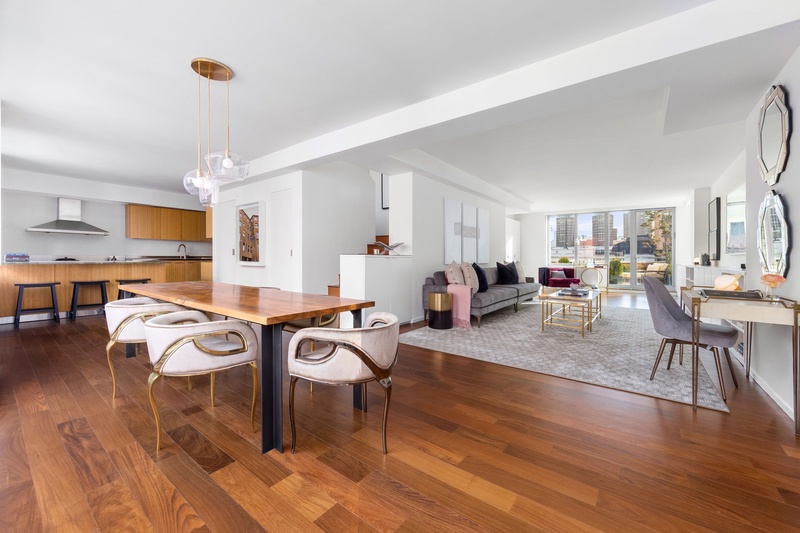 151 West 17th is a full-service Condominium and is exceptionally intimate and ultra-private in the heart of one of Manhattan’s most engaging neighborhoods.